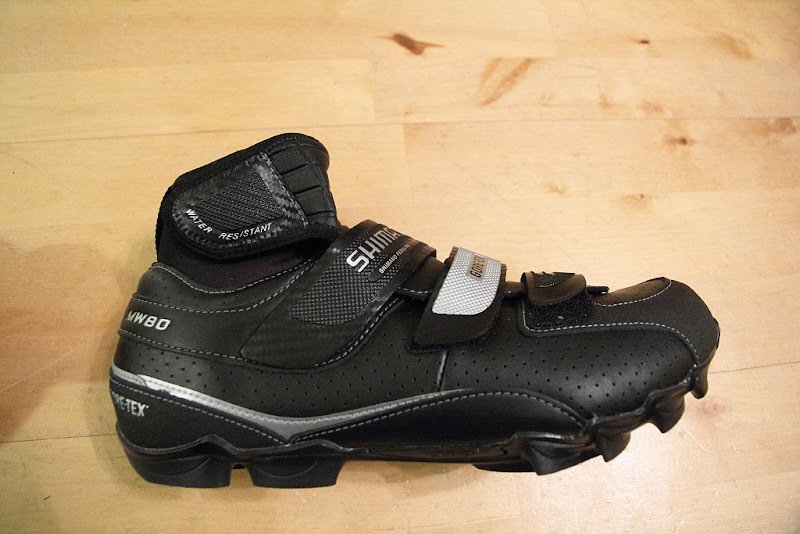 My Shimano MT-90 shoes started to fall to pieces a couple of weeks ago. The seams had ripped in enough places that I thought it would not be worthwhile to have them repaired. 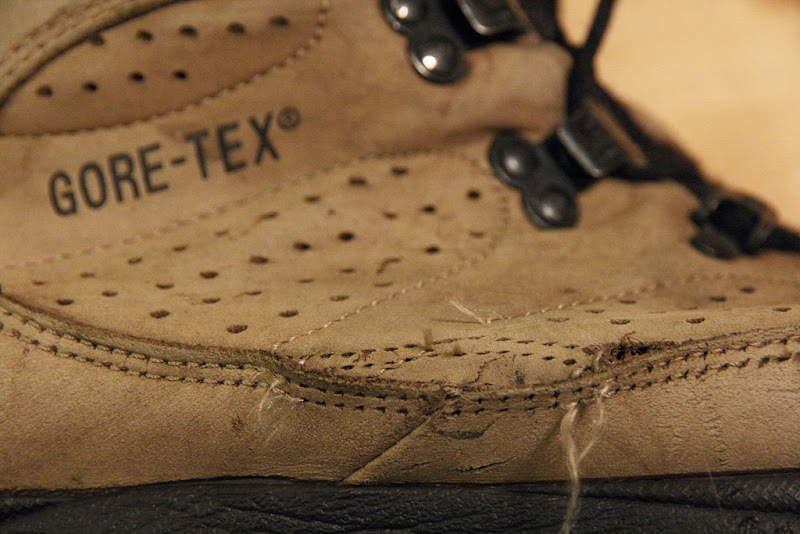 Even if repaired, the waterproofness would suffer, since it is mostly based on a GoreTex layer, which a repair job would perforate a lot. The MT-90 is an interesting mix of walking boot and SPD shoe and as such very suitable for adventure riding, which often brings you to places not entirely suitable for bike riding. I've had the MT-90 shoes for 3.5 years and have used them almost every day outside the short summer season, so I guess they held up well enough. Except for the unnecessarily wide top part, which makes snow gaiters absolutely mandatory when riding in snow, the shoes have been very nice. I started to look for replacements on the web, and found that almost every web shop in Europe was out of stock when it came to winter SPD shoes of the rights size. I finally found a pair of Shimano MW80 on a German web shop and ordered it, at a greatly discounted price as well. Since I know my Shimano foot size this was the easiest way to get new winter riding shoes. The MW80 is sold as a winter riding shoe, and I assume it will keep my toes warm for several hours down to around -15°C. It also has a velcro closed top part, which should be fairly good at keeping the snow out, but I will probably still use snow gaiters for more difficult conditions. 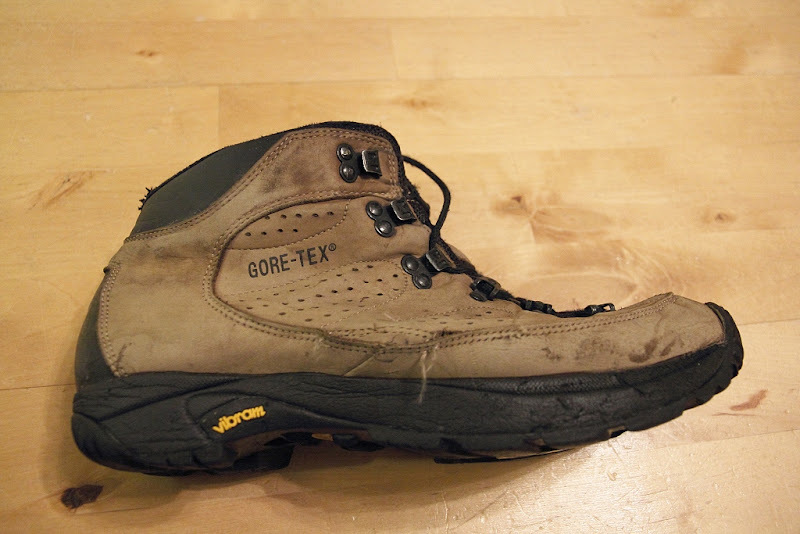 I also have a pair of really roomy walking boots for very cold weather. They work best with flat pedals, but the Shimano SPD pedals with cages I have on the Pugsley are also ok.
Hm, did you consider Lake WXC 30X series? Thought they kind of set the reference here (also for the price :-| ) Mine pair of WXC300 holds 5th season, although I use them strictly for "winter" in the Finnish sense of this word - i.e. when the temperature is reliably on the negative side. Yes, I'm aware of the Lake boots. Had I not found the Shimano boots for a good price (129 €) I would probably have gone for the Lake boots. With luck, they would even be available in Turku, but they would probably cost about 100 € more. For really cold weather I think my oversized walkin boots are warmer still. Peter, I believe you are correct about the Lake boots. I love mine and picked them up rather cheaply on sale. However, in colder weather, below 10(F) -12(C) they just don't keep my feet warm.